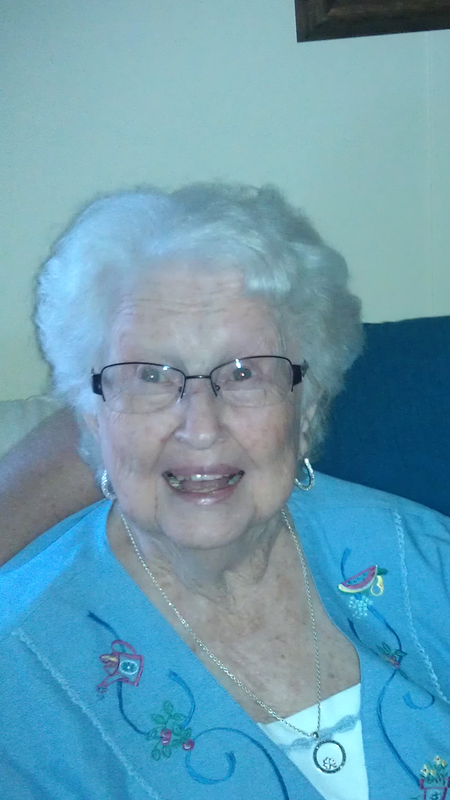 Hattie Lee “Pat” Nolan, 91, passed away November 13, 2018, after an extensive illness. She was born November 13, 1927, in Denton, North Carolina, and was the daughter of The Late Dock Van Lanier and Nannie Carrick Lanier. She was a graduate of Bethesda High School, in Bethesda, North Carolina. Her brothers, Johnnie Lanier and Chinnis Lanier, and her two sisters, Virginia Dare Lanier and Charlotte Dellinger, preceded her in death. She is survived by her husband of 46 years, Robert L. Nolan of Hobe Sound, Florida, two sons, Michael Frank O’Berry(Jennifer) of Roswell, New Mexico, and Larry Lee O’Berry (Ann) of Hobe Sound, Florida, and step-children: David Nolan, Nancy “Peaches” Wells, Donna Lake, Phillip Nolan, Janet Harmon and Steve Nolan. Also, three grandchildren, Danielle Speights, Christopher and David O’Berry; one brother, Roland Van Lanier(Faye) of Gastonia, North Carolina, and one sister, Pearl Fowler, of Durham, North Carolina, in addition to numerous nieces and nephews. Pat was a very loving wife, mother, friend and family member. Funeral Services will be officiated by Rev. Daryll Stanley, a loving nephew, and held at Russell Haven of Rest, Green Cove Springs, Florida, on November 18, 2018, at 1:00 p.m. with interment at Oakland Cemetery, Green Cove Springs, Florida. One hour for viewing is set for 12:00-1:00 on the day of the funeral. Pallbearers will be: Gary Fowler, Curtis Fowler, Chuck Lanier, Shawn Stanley, Bruce Lambo and Ed Wheeler. Alternates will be: Michael, Cody and Kyle Seymour; Cade Midgett. Love you Aunt Pat. I know you are at peace now. You will be missed by many people. Growing up I always remember “Bob & Pat” when I saw one I saw the other. I Never called them Great Aunt or Great Uncle but, that’s how we called everyone. I always knew and felt loved when around everyone. Thanks for all the birthday, & Christmas Cards always signed, Love Bob & Pat) and all the memories. Forever Loved and will always be remembered. All my love to everyone! An to Bob, 46 years of marriage but, i’m sure there will be many more years etched in your heart. Love you and hope to see you soon. Take care of yourself and family. May the great name of Lord be praised for His excellent mercy and grace! Aunt Pat is with the Lord – no more sickness of the body, no worries, no troubles. 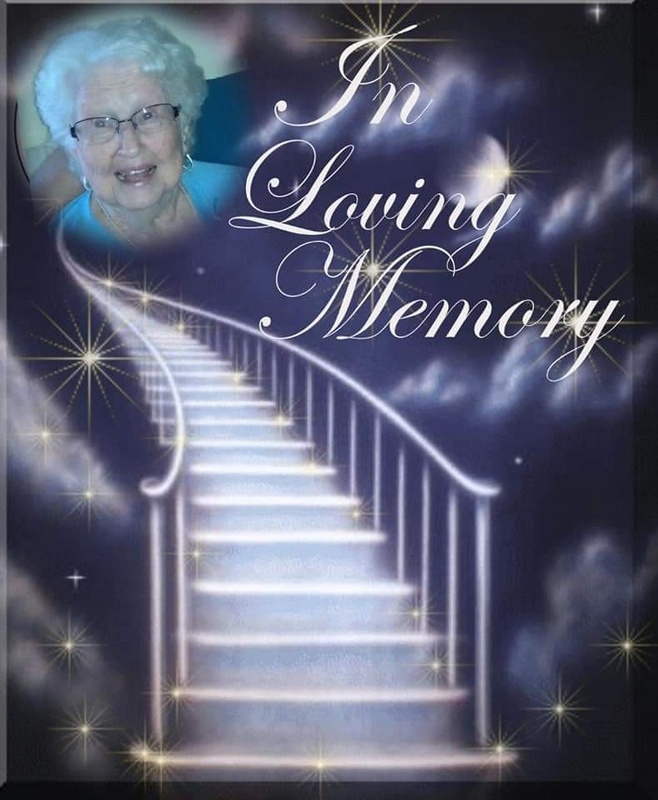 Though we will miss her dearly, we could not ask wish her to come back. She is in Paradise. Uncle Robert, remember every precious day with your beautiful bride, and that she is waiting for you to join her. At the appointed time, the Lord will come and take you to your eternal home in heaven. I suspect your Sweetie is already there getting it ready! Larry and Michael, your mom was a great lady, and she has left you with a Godly heritage. I know that you will miss her, but remember what joys you brought to her. David, Peaches, Donna, Phillip, Janet and Steve – your dad needs your love and support more than ever. He is a great guy who has suffered a tremendous loss. Put your arms around him and help him find a way to journey on without his dear wife. Ellen and I love and care for each of you. You will be in our prayers.